Cornwall Mineral Railway Framed Notice. Tolls. 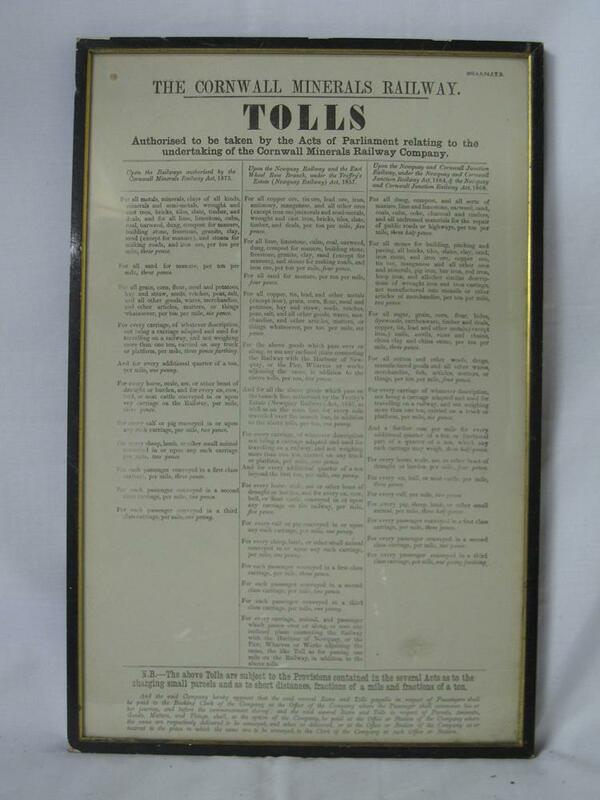 A Notice Giving Notice To All Tolls Charged on the Railway.